Having an application or a website developed is a significant commitment. 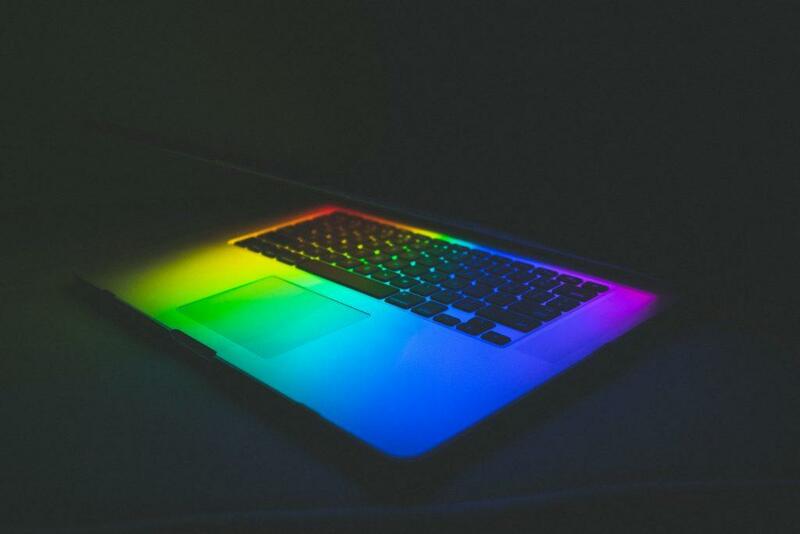 You’re likely to spend thousands of dollars turning your idea into a reality, and your developer is going to spend many hours on this project in the weeks and months to come. In order to produce an exceptional finished product, you and your developer must have a healthy professional relationship. The way you handle billing and payment is a major contributing factor to whether or not you trust and respect each other. This can be a little challenging since there isn’t a widely accepted industry standard for app development billing practices. Furthermore, you have likely heard horror stories about shady developers who charged thousands of dollars and disappeared without delivering anything or devs that held a finished project hostage in an attempt to force the client to pay more than originally agreed upon. Alternatively, most professional developers have had at least one bad experience trying to get a client to pay for a completed job. 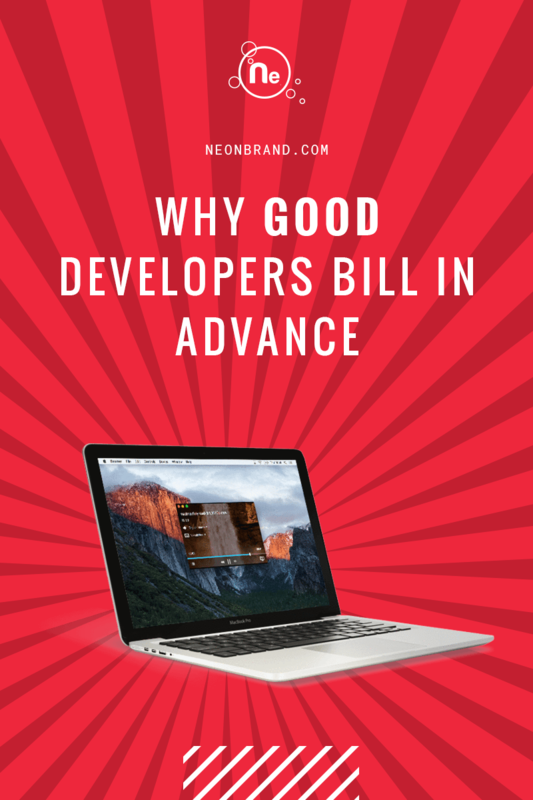 If you work with a professional, experienced developer, expect them to bill in advance. You don’t necessarily have to pay for the entire project up front – at NeONBRAND, we bill incrementally, allowing you to purchase development hours as you go. Since complex development projects can sometimes be expensive, this pay-as-you-go system is more practical because you can make smaller payments and start seeing progress on your website or application right away. 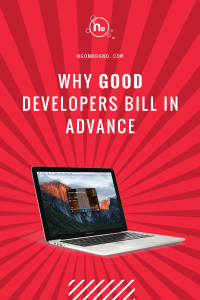 Especially if you’ve had a bad experience with a disorganized or unscrupulous developer in the past, you might find advance billing a little bit intimidating. While your hesitation is understandable, advance billing is the best system for a variety of reasons. Plus, if you don’t trust your developer enough to pay them for the time they’re going to put into your project, you might want to think about working with a different developer. 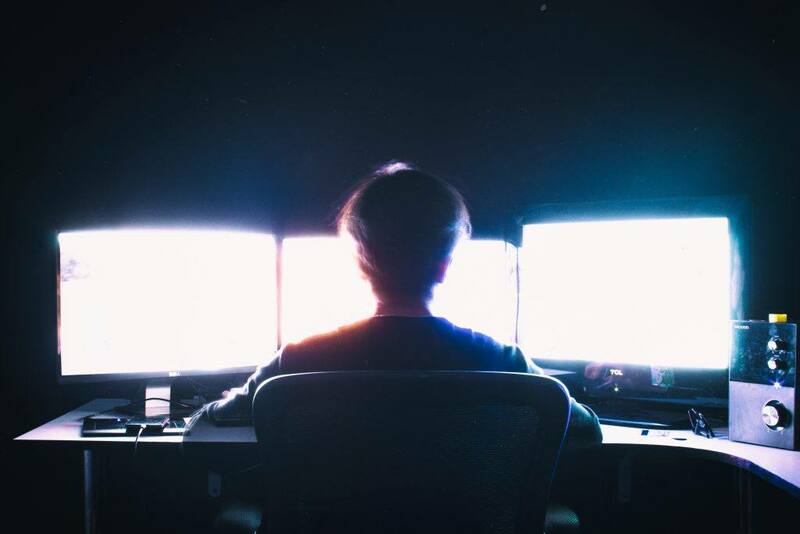 Great developers have a steady flow of work, and in order to stay current and meet deadlines, they use organized systems to help them determine in what order they’re going to work on projects. The most fair way to prioritize their website development time is to service clients who purchased hours first. Believe it or not, developers are human. 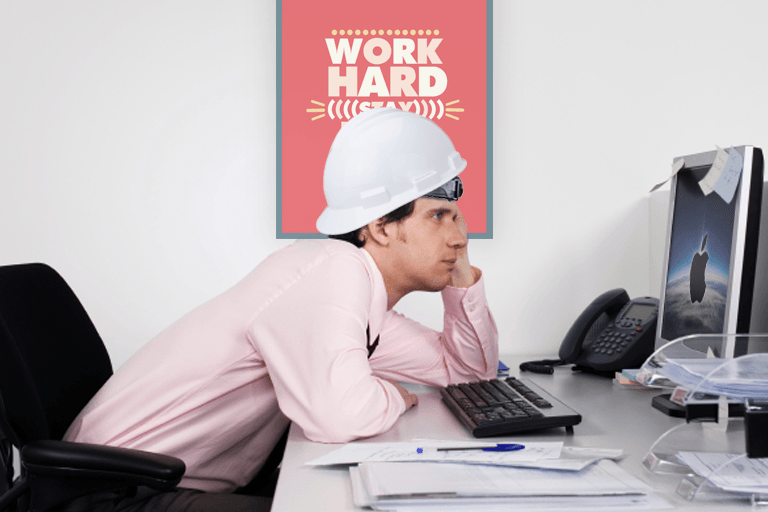 Sometimes, they enjoy certain projects (or clients) more than others, and they might be tempted to procrastinate on those projects that aren’t as fun or interesting. Completing fun projects first isn’t a very efficient or fair way to work, though. The first-paid, first-served system is the best way to ensure that everyone’s projects get their place in the pipeline. This billing system also gives you more control over the direction of your application during development. After each unit of hours is completed, your developer should be able to check in and tell you exactly what was completed during that time. If your project is moving faster or slower than anticipated, you’ll know at the beginning, and you can make adjustments as needed without investing all of your money up front or being blindsided by the bill once the app is completed. First-paid, first-served prevents developers from playing favorites. Developers are builders, just like the contractors and crews that build custom homes. You wouldn’t expect a construction crew to build a house without payment up front, would you? If you don’t have the cash to pay for a custom house, you get a loan, and then work starts. At least with application development, you can pay incrementally and see results as you go. Whether you’re working with a freelancer or an agency, the developer you choose should be a professional. That means that within the parameters of your business relationship, you have certain expectations of them, and they have certain expectations of you. Development projects can become complex very quickly, and when you start to get into the weeds of development, having a strong professional relationship becomes a solid foundation to keep things on the right track. If your relationship is based on promises alone – you promise to pay and your developer promises to deliver a good product – it’s too easy to wind up in a situation where your developer expects you to pay way more than they originally quoted, you expect them to deliver way more than they think is in the scope, and ultimately everyone is dissatisfied. 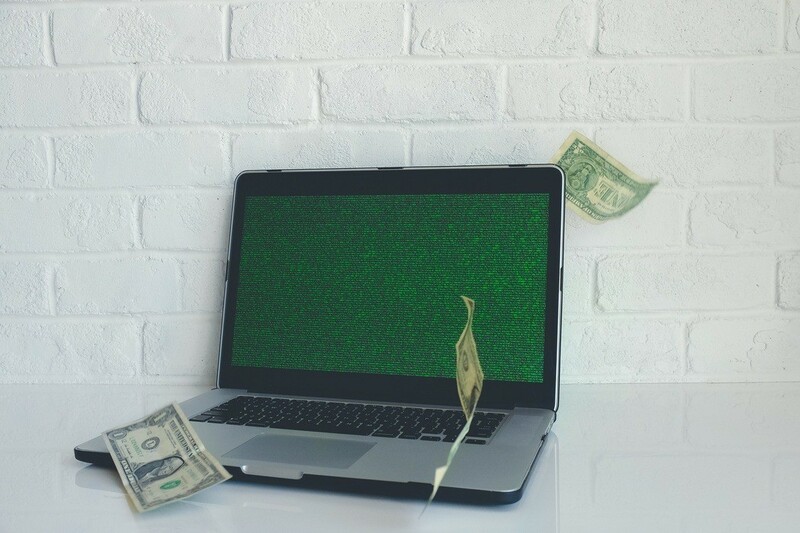 By billing for small chunks of development hours in advance, your developer isn’t worried about doing a bunch of work that isn’t going to pay, and you’re not worried about a developer surprising you with a huge price tag after the work is done. You might have had a bad experience with a developer in the past which makes you a little more careful now. 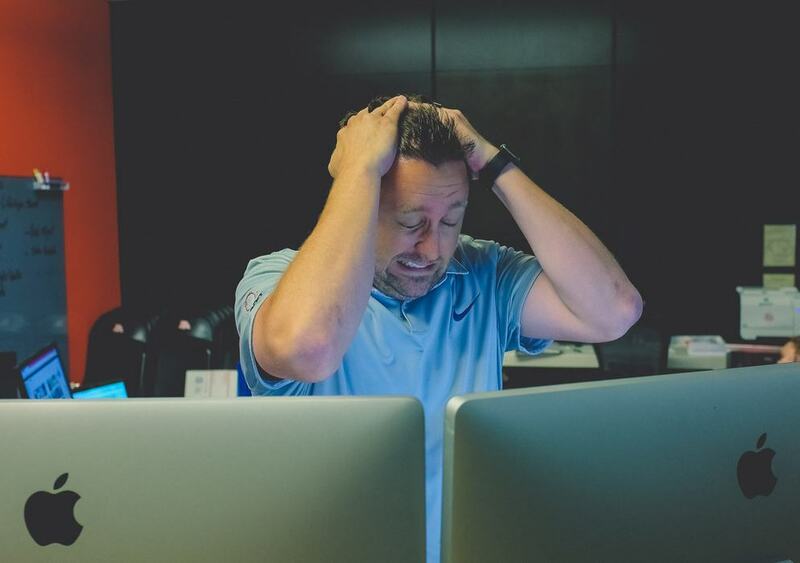 At the same time, if your developer has been in business for awhile, they have definitely had a nightmare client who cost them time and money. Don’t take rigid billing rules too personally. Following a clear and defined system helps protect both sides from those few people who try to exploit the system. Additionally, billing in advance gives both you and your developer a safe and fair way to end the relationship if necessary. All of the work that has already been completed is yours, and you can take it to another developer at your discretion. If you’re going to work with a dev to create a great application, there has to be trust on both sides. The way billing is handled is foundational to that trust. From a young age, Myke has had an insatiable desire to learn how things work. As such, it’s no surprise that his first ventures into the world of programming came about because he wanted to know how video games were made. Luckily, his high school offered several programming classes; and he’s been hooked ever since. He’s been coding for over a decade now, but his desire to learn and enthusiasm for the field has only grown. 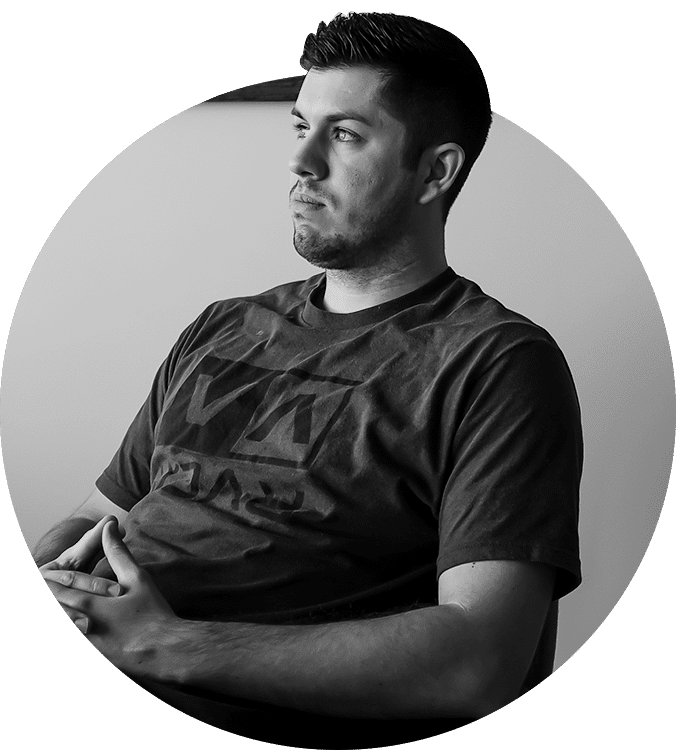 When he’s not trying to improve his coding skills, he enjoys spending time with his family, playing video games, reading a good book, and drawing.